What is Currituck Station? and Why Does it Matter to Moyock? Big changes are coming to Currituck County. One of the biggest will affect over 3,000 acres in Moyock. Property that spent centuries as farmland will become something brand new, and literally pave the way to the next chapter for Currituck County. Currituck Station, is a long-term economic development plan by Currituck County to attract residential and commercial opportunities. The site is adjacent to the border with Virginia and located on the western side of North Carolina 168/Caratoke Highway. This is a big deal for the county and the region. It’s a signal to the world that Currituck County is growing, ready for opportunity and open for business. 1. Mega-site is not a four-letter word. I get it. It sounds like a monster, some kind of massive industrial complex that will stick out in the middle of Moyock like a sore thumb. It sounds like smokestacks and warehouses and an endless parade of 18-wheelers at all hours of the night. It sounds like the opposite of everything we love about Currituck County. That’s not what we have in mind. Not even close. “Mega” comes from the Greek word “megas” meaning “great.” In metric measurement, “mega” represents one million. And while the Currituck Station Mega-Site is about 997,000 acres short of a million… we still think it’s going to be great. I know some still find the word “mega-site” clunky and a little unsettling. But it’s important for us to use it when we talk about the project because when international, national and regional companies are looking for property, they will often seek out mega-sites first. Having the word as part of Currituck Station’s “official” name helps us get found more easily by companies, property brokers and site selectors. 2. Why is it called Currituck Station? In the early stages, we called the project the Moyock Mega-Site. But going forward we wanted a name that conveyed a broader sense of place with a nod to our county’s history and heritage. While the site is still located in Moyock, Currituck has more regional name recognition. “Station” was selected as a nod to the history of the area, which was once a busy trading area with active ports and railroad lines. The word also conveys the idea of motion and activity (think Grand Central Station or Penn Station). Currituck Station sounds like a destination, but not a dead-end. I know that not everybody is in love with the name. Heck, some people don’t even LIKE it very much. But instead of spending weeks and months debating names, we thought it was better to make a decision and get to work building momentum in Moyock. 3. There are six key objectives for Currituck Station. 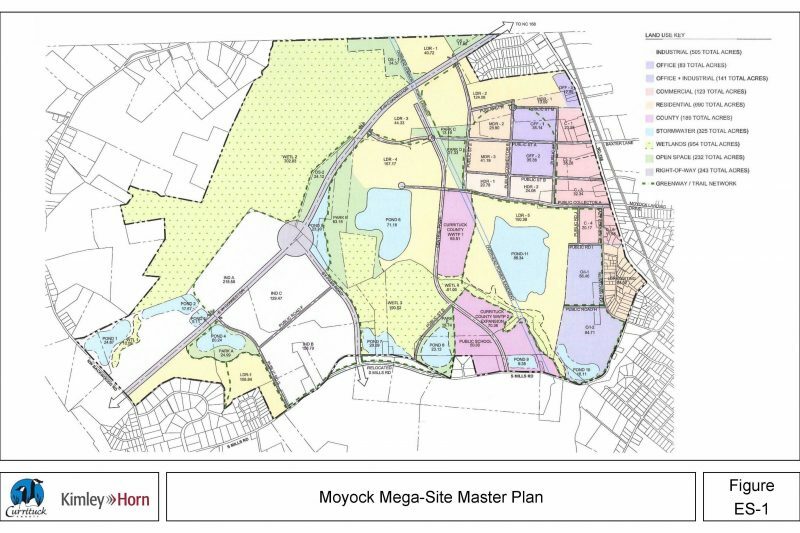 Our master plan for 3,000 acres in Moyock did not just magically appear. 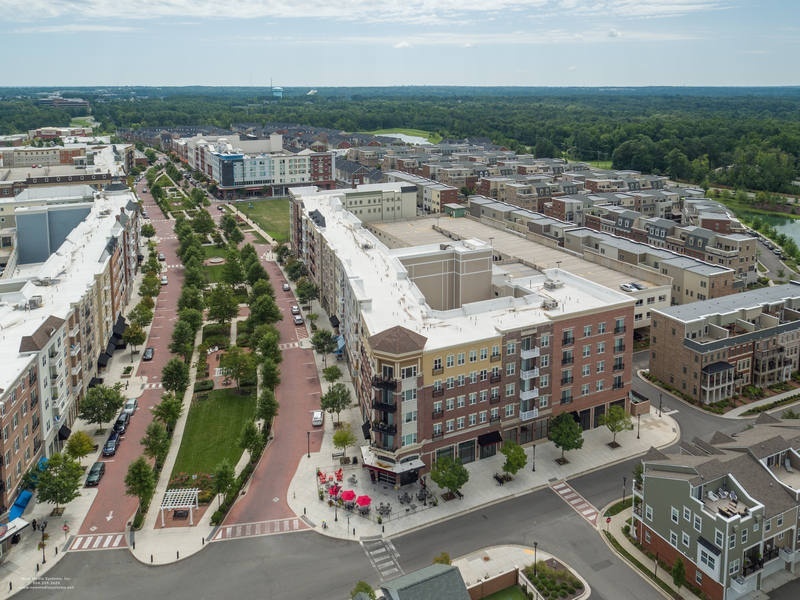 It has evolved slowly over months and years with input from local and state government officials, county residents and business owners and site development professionals and consultants. Like all smart plans, it was built around a set of specific goals that will help inform every new decision going forward. 4. Currituck Station is not like other North Carolina and Virginia megasites. I know everybody likes to think they’re special, but when it comes to regional mega-sites, Currituck Station really is unique. The majority of mega-sites within a few hundred miles are focused on attracting heavy industrial companies. For places like the Chatham-Siler City Advanced Manufacturing Site, the Moncure Megasite, or the Greensboro-Randolph Megasite, one or two massive tenants (like an auto plant or e-commerce distributor) would be ideal for them. Our site calls for a bit more diversity. Currituck Station will be a mixed-use site that blends residential and commercial development. It’s not going to be just a sprawling office park or a campus of industrial buildings. 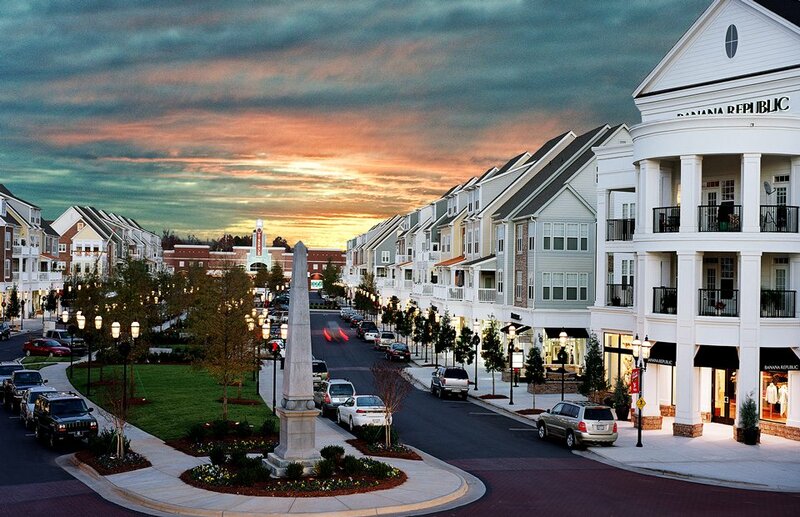 It’s not just going to be an enormous shopping center or a cluster of new housing communities. It’s going to be a little bit of everything. 5. Mixed-use development is the best of all worlds. 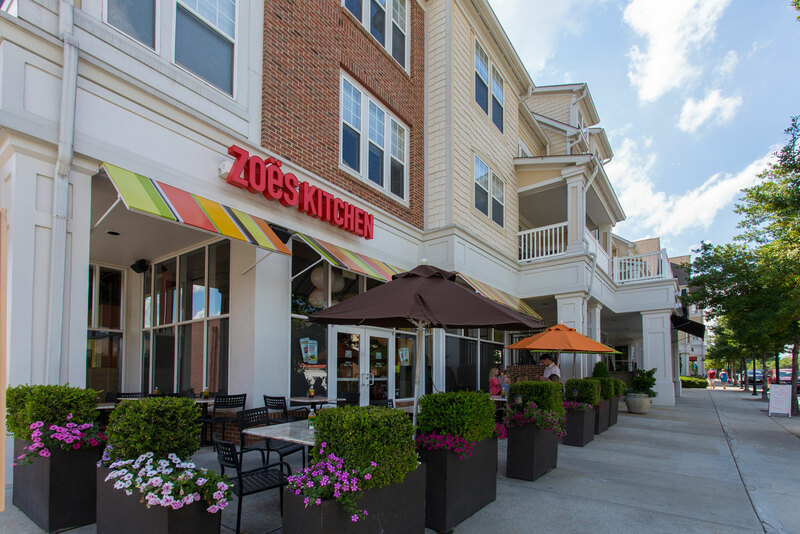 The concept of mixed-use development is exactly what it sounds like. Translation: a balanced mix of places to live, work and play. The project will include low, medium and high-density residential development such as single family detached homes, townhomes and apartments. Non-residential/commercial developments will include retail, office, healthcare and industrial buildings. There is also a plan for public buildings such as schools and county utility facilities, open spaces, parks and greenways. Also in the plan? A priority “wish list” that highlights more specifically what county residents want in Currituck Station, including casual dining options, retail for Boomer, Gen X, Millennial and Gen Z consumers, grocery stores, pharmacy, doctor’s offices, urgent care facilities, public/community event space, movie theater and a fitness center. While timelines are always subject to change, I can promise that the landscape of Moyock is not going to change overnight. Currituck Station is a long-term project. The transformation of the property will happen in several small phases over the course of the next 20-25 years. The best way to keep up with the latest news and developments is to check for updates at CurrituckStationMegasite.com. Sign up for Currituck County Economic Development’s monthly newsletter and follow us on Facebook, Twitter and LinkedIn! The planning stages of this project involved a lot of community discussions and citizen feedback. We asked. You answered. We listened. The plan for Currituck Station was developed with input from residents and it will continue to rely on public engagement. There will be plenty of opportunities along the way for questions, suggestions, comments and complaints. Our goal is to change Currituck County for the better… together. Please don’t hesitate to contact me directly. If I don’t know the answer to your questions, I’ll connect you with someone who does. And remember, if you (or someone you know) is interested in doing business in Currituck Station (or anywhere in Currituck County)... Call Larry!